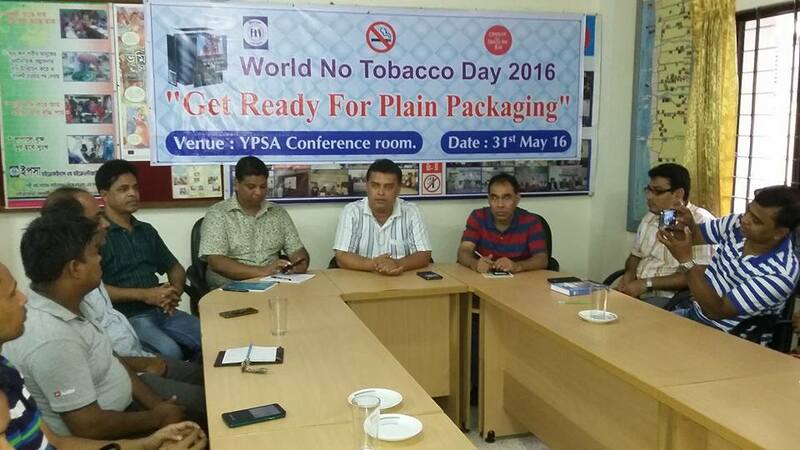 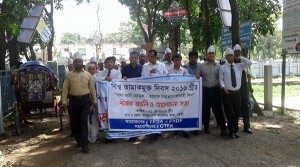 YPSA observed World No Tobacco Day’16 on 31st May in all 11 districts (Chittagong, Comilla, Feni, Chandpur, Brahmanbaria, Laxmipur, Noakhali, Cox’s Bazar, Bandarban, Rangamati and Khagrachari) of Chittagong Division as well as capital city Dhaka. 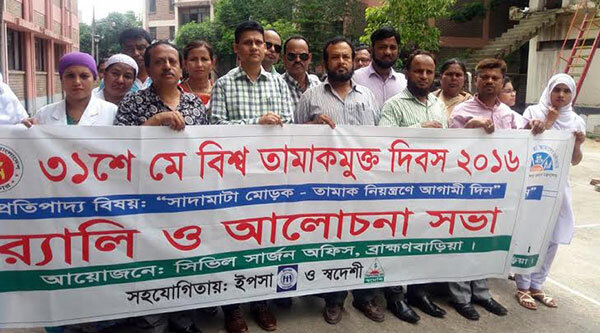 YPSA jointly with District Civil Surgeon Offices and District Tobacco Control Taskforce arranged colourful rallies and discussion meetings at 11 districts to mark the day. Significance of World No Tobacco day’16 and theme of the day “Get ready for plan packaging”, harms of tobacco use and tobacco control law were discussed in those meetings. All the speakers urged that proper initiatives should be taken in order to enforce the Tobacco Control law and ensure the pictorial health warning in all packets as per the TC law & Rules. 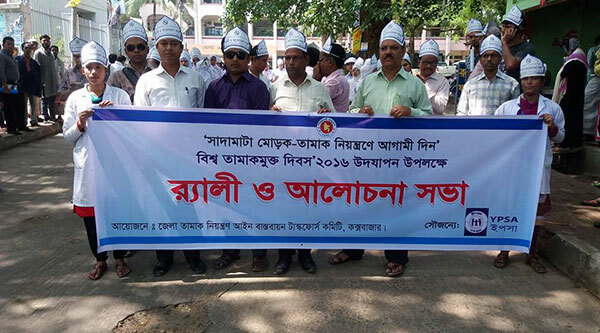 Deputy commissioners, Civil Surgeons, Government officials, Taskforce members, doctors, students, health workers, volunteers, journalists, ATMA members, Different NGOs representative and smoke Free Coalition members participated in the rally and discussion meeting. 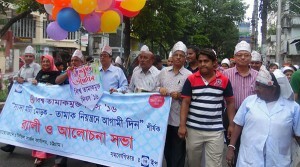 YPSA also broadcasted tobacco control information through Community Radio Sagar Giri on 31st May. 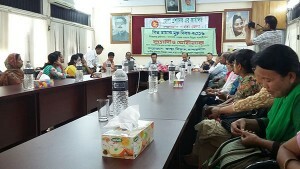 Mobile courts also conducted by Magistrate on 31st May in Chittagong and Cox’s Bazar district. 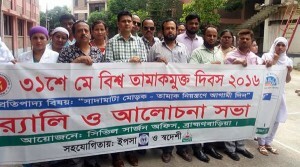 In Chittagong, the mobile court fined 30,000 taka to Dhaka Tobacco Industry for having tobacco products without pictorial health warning and the mobile court seized many cigarette & Zarda packets without pictorial health warning and huge promotional goods which price is around 2 lacs 50 thousand Taka. 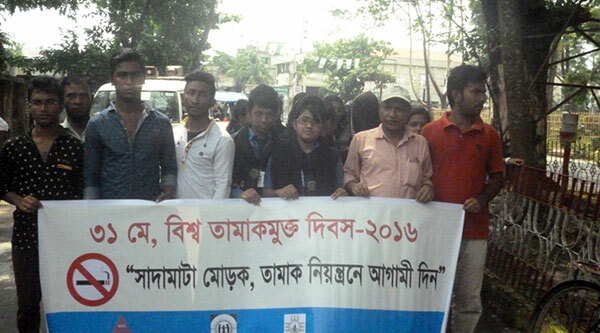 In Cox’s Bazar, mobile court fined 2150 taka to shopkeepers for having tobacco products without pictorial health warning and two smokers. 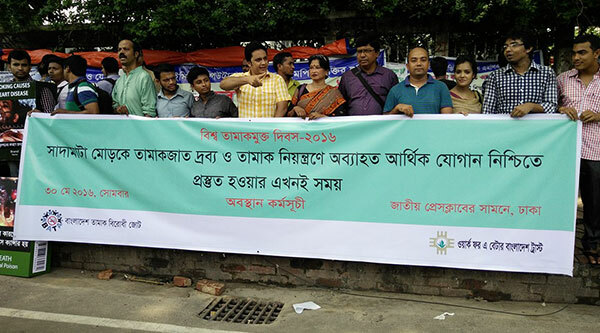 YPSA participates in a colorful rally organized by Ministry of Health and Family Welfare and National Tobacco Control Cell which moves from press club to Osmani milonayoton, Dhaka. 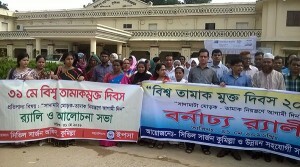 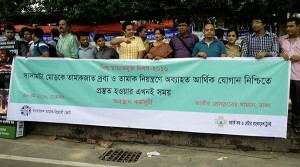 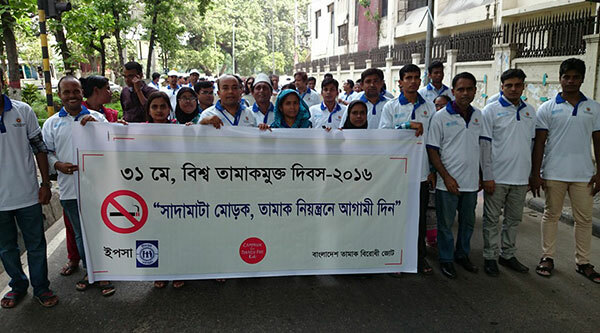 Bangladesh Anti Tobacco Alliance organized a human chain in front of National Press Club, Dhaka as a part of celebration of World No Tobacco Day 2016 and demanding proper implementation of TC law. YPSA also participated in the human chain. 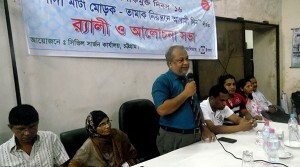 YPSA also arranged a sharing meeting at YPSA head office with the participation of all YPSA staffs. Mr. Arifur Rahman, Chief Executive of YPSA was the chief guest and the meeting was presided over by Mr. Mahabubur Rahman, Social Development program, Besides that Mr. Palash Chowdhury, Director (Finance) and Mr. Morshed Chowdhury, Director (Economic Development) also attended as special guests.